The smallest Compression Pedal on the market at a third of the size of its competitors. 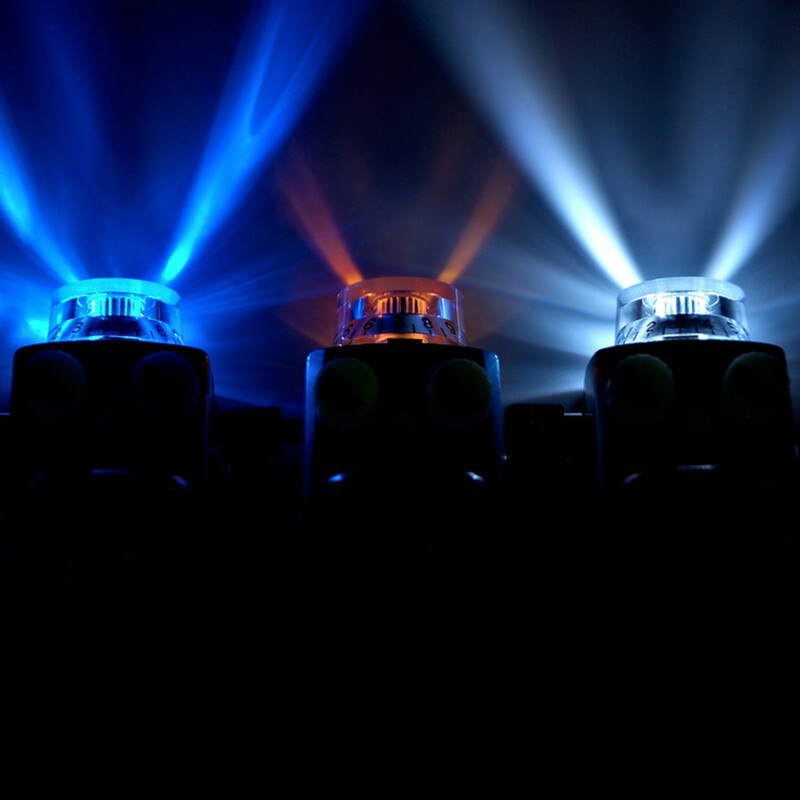 The Hotone KOMP features a clean optical sound, full control including Volume, Tone and Compression Level, and additional Treble Boost, all housed in a hard wearing Zinc Alloy casing with glow in the dark and LED light up control knobs. 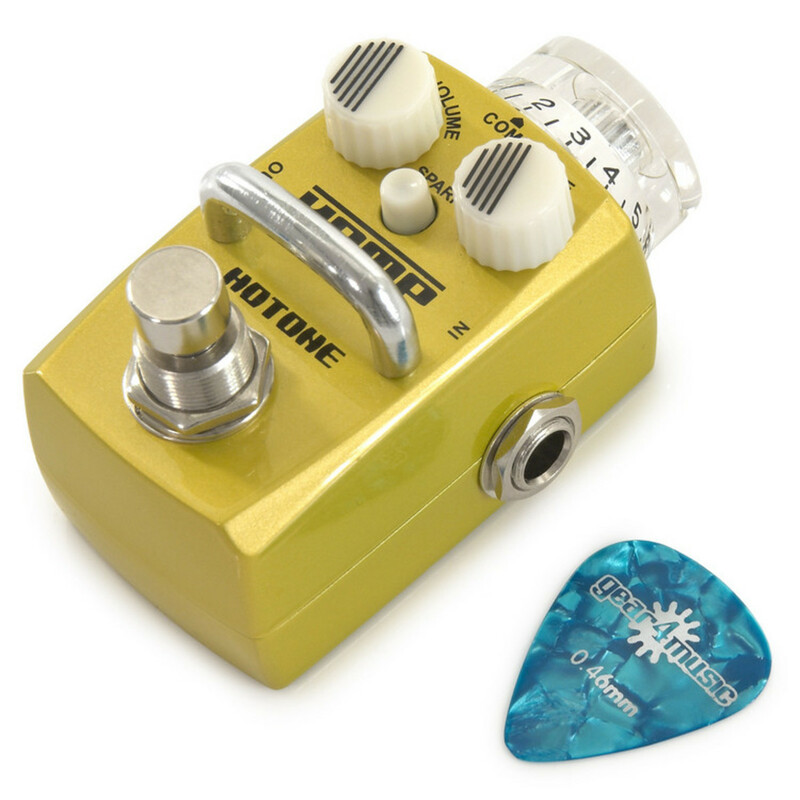 The Hotone KOMP is the smallest Compressor pedal available on the market today. It is approximately one third of the size of the popular models on the market, but still boasts the same features and sound quality. The casing is made out of Zinc Alloy, making it incredibly strong and hard wearing, and the integrated metal bar protects the controls from getting knocked when switching the pedal on and off. 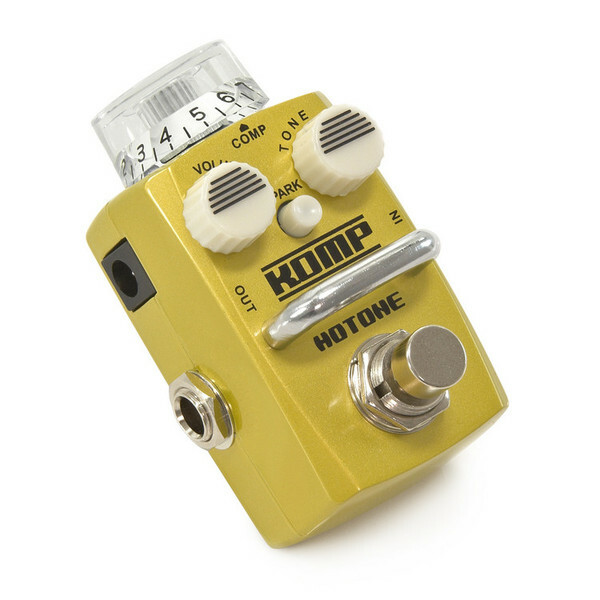 Despite its small size, the Hotone KOMP has all of the controls and functions you would expect from a normal compression pedal, along with some great additional features. The Volume and Tone dials have glow in the dark control knobs, and the Compression dial has an inbuilt LED light, making it easy to see on stage. The Hotone KOMP produces a smooth, rounded compression sound, inspired by a classic 1960s American Photoelectric compressor. 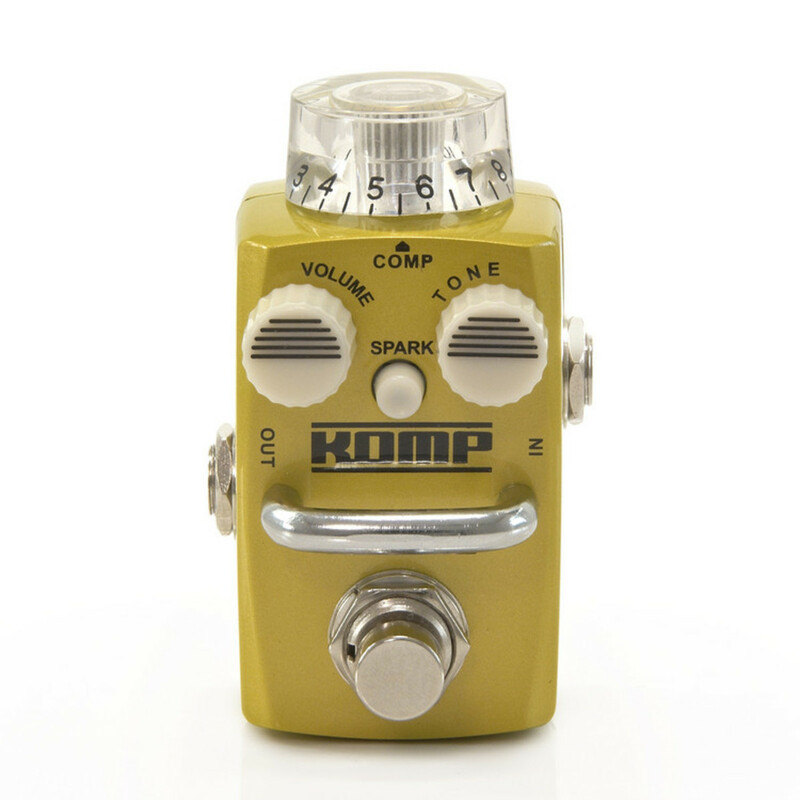 Engineered to retain the clean sound of the guitar, the KOMP has an additional Tone control and level, as well as a large Compression dial. In addition to the standard controls, the KOMP also has a Treble Boost Switch, which adds a Brighter Tone to the sound, making your guitar really sing. For further information about the Komp compression pedal, please download the product manual PDF from the link below.